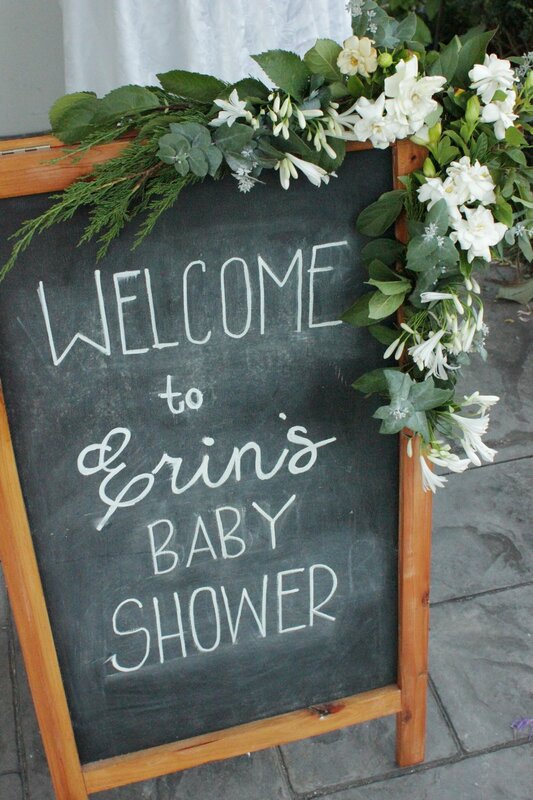 Erin is soon to welcome a gorgeous little girl into the world and what better way to celebrate than with a beautiful baby shower. We were lucky enough not only to be a part of the baby shower as guests but also to decorate the event with some florals. Erin knew what she wanted and loved the idea of having lots of greenery with accents of flowers. This suited us, as we just love this style. 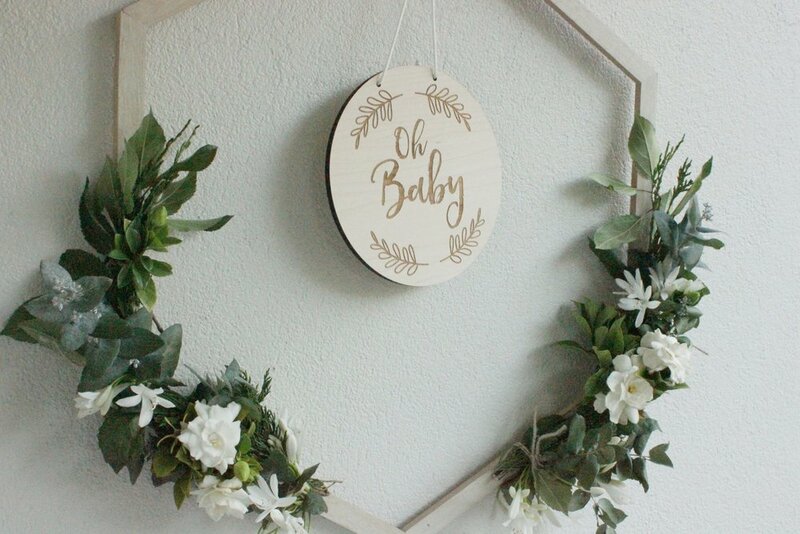 For the ‘Welcome’ board for when guests first arrived and the ‘Oh Baby’ decorative frame we used lush Eucalyptus, Spruce and Crab Apple leaves with White Gardenia - the smell was divine. Beautiful posies of white agapanthus accentuated with white daisies surrounded in greenery were also dotted around the room. The pops of white and different contrasts of greenery really helped make the splashes of pink around the room pop. Even though flower decorating for events is not something we have done before, we must say, we absolutely loved helping style this event.